Of course, there were the Prince’s perpetually mounting debts, and his selfish ways that came between the couple. The King’s prime minister, Pitt, and the Tory party exploited every opportunity in hounding the Prince and his Whig party. This included trying to make public the illegal marriage in which the Prince had broken the law by marrying a Catholic, not to mention failing to gain the King’s permission to marry in the first place. Being in the public eye in such a manner grated on Maria, and the relationship truly began to crumble. George wasn’t the Prince Charming he imagined himself to be, and Maria had enough. The Prince, once again in dire straits with his debts, was under the thumb of the King and Pitt, and finally realized he’d have to marry a German princess of their choosing to be able to live within his means. For any readers of Jean Plaidy’s previous volumes in the Georgian Saga, this is a continuation of the story of George III’s decline into madness, and the evolving of Queen Charlotte from a meek, child-bearing spouse, to the decision-making leader of the country, backed by Pitt. While the Prince thinks he will take of the reins of the government in his father’s absence, the Tories do their best to keep Charlotte in control. This is a great view of the state of the monarchy during the late 18th century. 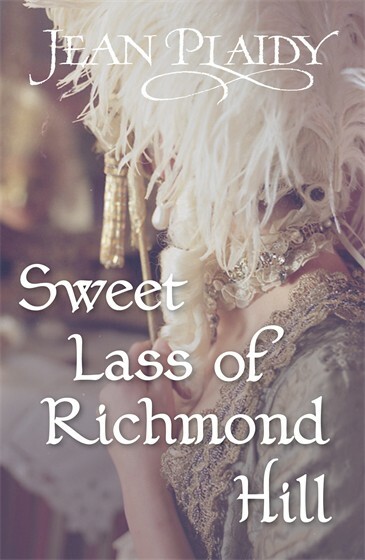 While none of the characters are exactly inspiring–especially not the Prince Regent–it is a well-rounded narrative with a sympathetic view of Maria Fitzherbert, and, grudgingly, the plight of the long ignored, power-hungry Queen. It may not be the most page-turning of Plaidy’s novels, but it is historically accurate and, as usual, the characters have in-depth personalities that is the signature of the author’s works.